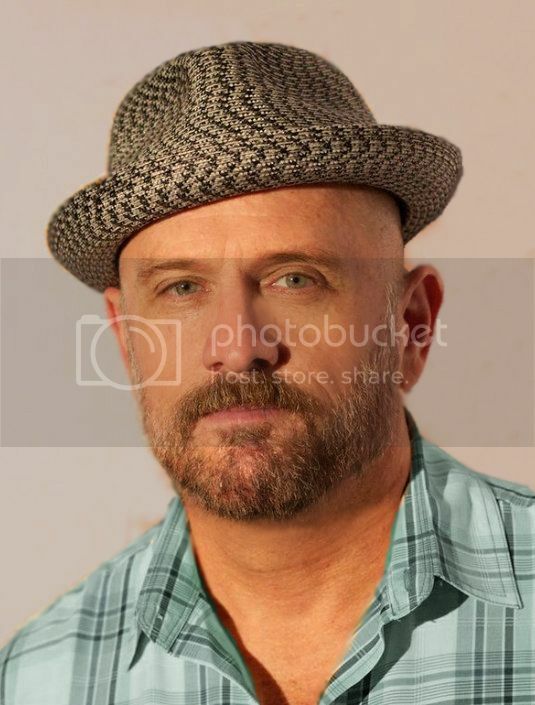 Wanna Be Head Of GOProud? Backing is widest and deepest for Collins, with 68 percent of Americans saying they support the NBA center’s decision to announce his sexual orientation. Those who “strongly” support his step outnumber his strong critics by a 3-1 margin. A substantial 63 percent in this poll, produced for ABC by Langer Research Associates, also support the Boy Scouts’ plan to begin admitting gay scouts younger than 18, while 56 percent oppose its intention to continue to ban gay adults. Again strength of sentiment favors gay rights, by 16- and 12-point margins, respectively. Both policies go to a vote of the group’s governing council, meeting the week of May 20 in Grapevine, Texas. Some of these views even overcome political sentiment to some degree. Majorities of Republicans and conservatives, 52 and 54 percent, respectively, support Collins’ step, and 53 percent of Republicans support admitting gay scouts. 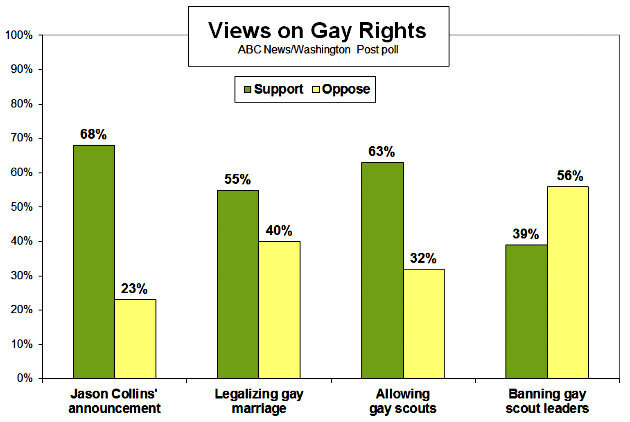 These groups are much less apt to support admitting gay scout leaders or legalizing gay marriage. Support’s far higher in other groups. Nearly three-quarters of moderates and independents support Collins, as do more than eight in 10 Democrats and liberals. 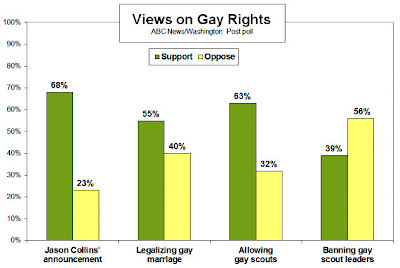 Than two-thirds or more in each of these groups favor admitting gay scouts, and six in 10 or more oppose continuing to ban gay adults from scouting. Support for gay marriage, for its part, reaches six in 10 or more in each of these groups, far higher than its support among conservatives and Republicans, 33 percent in both groups.